It's never too late to look beautiful and radiant! 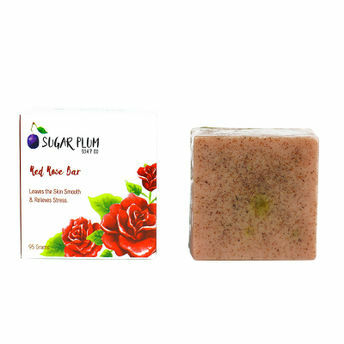 Grab Sugar Plum Soap Co. Red Rose Bar and experience the exceptional skin benefits of roses, shea butter and vitamin E. Roses are naturally antibacterial and hence, it will keep your skin free of infections and blemished. There's no need to use any other chemical induced product with this soap as it will give you problem-free glowing skin. This soap moisturises and nourishes the skin and keeps ageing signs at bay. It comes with the wonderful natural scent of roses.